No idea why this already posted, but I pulled a technospaz. It’s supposed to be for tomorrow, but it posted today with tomorrow’s date. Oh well! 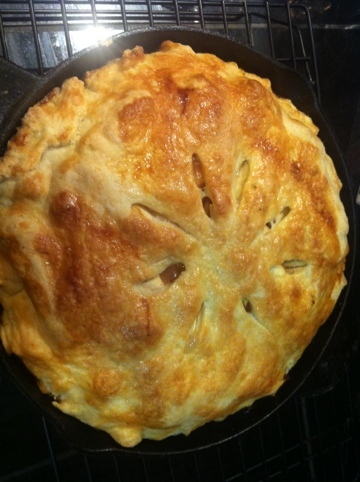 The point of this post is to say that I make a mean apple pie. That is all. This entry was posted in food on November 23, 2011 by metamegan. Just wanted to be clear that I am not pro-cake because I can’t make a good pie. But good point.